Welcome back. Today we would like to review an android app called AskMe. If you are from India, I am sure; you have already seen their ad on TV by bollywood star Ranbir Kapoor. 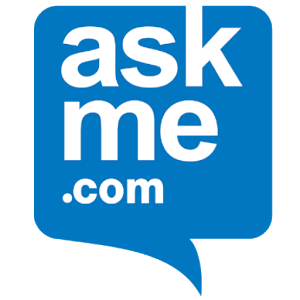 AskMe is an awesome android app for people in India which help its user to find relevant information within their locality. Using AskMe app, users can easily search popular and best businesses around their city area from their smartphone. AskMe app not only helps users to save their valuable time but also helps to save money by searching the best deals around their locality. If you want to make your life simple and easy life simple and easy, this is a must have app for you. Users can easily search and find best businesses/merchants near to them. AskMe app allows users to get best local deals of their favorite merchants right from their mobile phone. Users of AskMe app can buy products easily using integrated online store, AskMeBazar. Users can easily determine the quality of products and services by reading reviews of other AskMe users. As a user of AskMe app, create own list of your favorite businesses/merchants. The application listed variety of business addresses and phone numbers, so that users can make call directly to get more information about the products and services. As a user of the AskMe app, get all the latest local classifieds including jobs, real estate. vehicles, etc on your smart phone. The app works on all smartphones with Android Froyo (2.2) and later. The application interface is user friendly, simple and clean. Installing AskMe app on your android phone is very easy. Go to your phone menu and open Google Play Store from there. Then search for AskMe app, when you find it, just click on the download button. Depending on your internet speeds the process may take upto several minutes. As soon as the download completes, the app will automatically install on your phone. When installation is done, open the app from your home screen or menu. You will see an “I am Looking for” search box there. Write the keywords there, you are looking for and enter your current location. Then hit the search button, within a few seconds, results will be displayed on a new screen. Users of AskMe app can access almost all the features of application from the main screen. You can also download the application directly from the link given below.